Los Alamos Daily Photo: Ice Cream In Winter? 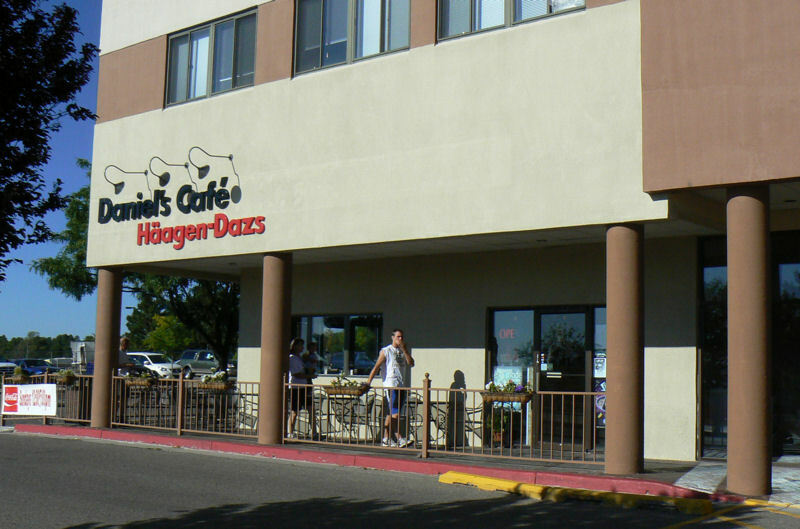 With warmer weather, lots of people will visit Daniel's Cafe for ice cream. But, they also sell breakfast burritos, other breakfast items, and sandwiches. So, it's busy on the coldest days as well. And, ice cream seems to sell in any weather. I would eat ice cream in any weather too! Alaskans eat a lot of ice cream. Several associations that keep track of that sort of thing have put their signature on that fact. Records show that Alaskans consume more ice cream than any other state in the U.S. The records also reveal that the average American eats roughly 4 gallons of ice cream a year and that Alaskans eat a bit more than the average. That could add up to a lot of ice cream. It's rumored that Alaska's record may even include the rest of the world but there's no evidence of that anywhere just yet.